Jesus said “I am the resurrection and the life” John 11:25. We come into agreement with God’s word in Ps 139:23-24 (Amp) ‘Search me (thoroughly), O God, and know my heart! Try me and know my thoughts! And see if there is any wicked or hurtful way in me and lead me in the way everlasting”. Father, we thank You for the sacrifice of Jesus and Your eternal love, and we decree in this nation the celebration of the death and resurrection of Jesus will be respected, honoured and loved by people of all communities. We thank You for the power of the Easter message to bring hope, life and salvation. Lord, You are cleansing Your people of all that would restrict, restrain or bring reproach upon them in this day, and we surrender to Your hand upon our lives. (take a moment to confess anything the Holy Spirit brings to mind). We praise You Jesus, for the fullness of Your work of salvation in our lives through the cross and for Your triumph over every work of the enemy. As we cross over into a new season, we thank You for the greatness of the plans and purposes You have for individuals to partner with You to bring awakening to this land. We stand in our true identity as the children of God and we decree and declare the power of the resurrection life of Jesus will overcome every work of the enemy that has delayed, robbed or destroyed. In the Name of Jesus, we speak fresh life and hope to individuals, ministries, businesses and churches that You would raise up in this day. We speak a restart to any that have faltered, in the Name of Jesus. 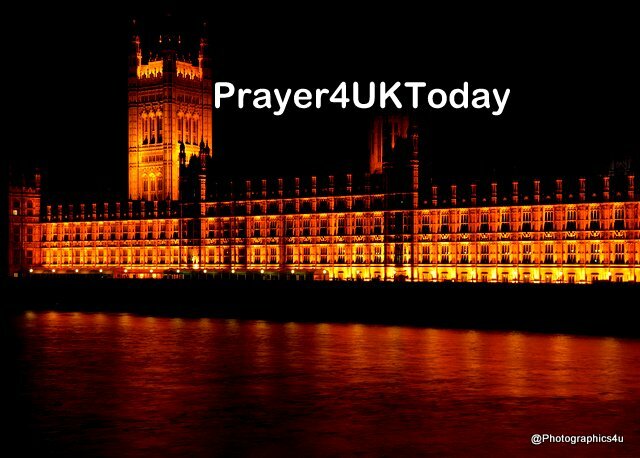 Now Lord, we stand as Your Ecclesia in this nation, and in this Easter season, we celebrate the power of the Resurrected Jesus concerning Your purposes for this land, and we declare every Kingdom purpose concerning Brexit that has been halted or delayed will be reversed, in Jesus Name.